If you use a standard franking machine, you could be missing out on savings of up to 8% on the cost of sending your business mail. Switching to one of the latest MailMark™ franking systems could save you up to 3p per letter in comparison to standard franking. Royal Mail guarantee that MailMark™ postage discounts will always be the lowest available franking prices and to qualify for these discounts, you simply require a MailMark™ compatible franking machine. Mailmark™ is a new technology from Royal Mail that has changed the face of franked mail. Mailmark™ uses printed barcodes and recent upgrades to Royal Mail optical recognition and sequence sortation systems to provide reports on where individual pieces of mail are at up to five different points in the mailing process. This is designed to give a higher level of reassurance that mail has been delivered, a more accurate indication of delivery date and to improve Royal Mail internal processes. Mailmark™ supersedes the traditional 'town and crown' die with a dedicated indicia and machine readable 2D barcode as shown above. Automatic price updates - If you use a Mailmark™ compatible franking machine, your tariff will automatically update whenever changes occur. Mailmark™ gives you access to the Pre-pay reply service so your customers don't need to pay to return documents back to you. Your Mailmark™ machine will print reply paid envelopes to assist your customer in getting documents back to you that will drive responses to your business and generate revenue. 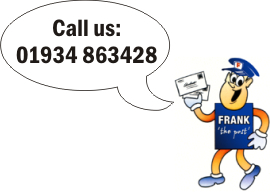 Royal Mail guarantees the best prices in franking will be through Mailmark machines. The Mailmark™ frank print does not have the postcode printed so they can be posted anywhere. 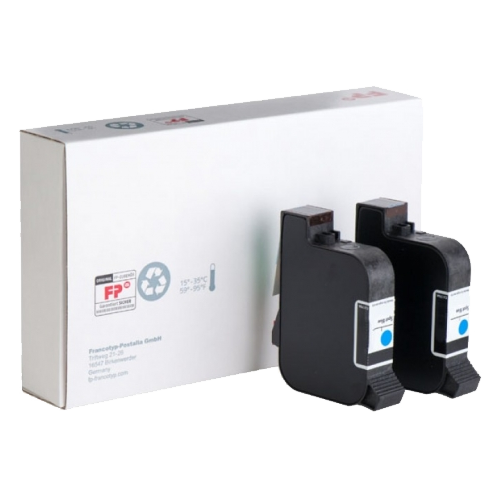 Automatic selection of Royal Mail franking products on your Mailmark™ franking machine. No need to look at charts - Minimises incorrect pricing which delivers less underpayment/overpayment and administration fees. Exceptionally professional finish on all your mail. Combine this with full colour printing on your mail piece and you have a dynamic intelligent piece of mail that will engage with your contacts and deliver amazing results and increase openability rates across your communications. If you're not yet MailMark™ compatible, don't worry - your existing postage meter may already be suitable for a standard upgrade. If not, we could get you MailMark™ ready without increasing your rental or service amount, allowing you to get significant postal savings with no increase to your monthly budget.